The countdown is on … to the Winter Author Blog Challenge! After much waiting about and hand-wringing in wonder and anticipation, we are announcing March 1 as the official start of the Winter Author Blog Challenge! We rather anticipated, as we planned this new challenge to begin March 1st, that winter would more or less be done with us here in sunny Arizona. Ha!unny how things go, as Mother Nature seems to have other plans … and the challenge is still aptly named, even here in the desert. We launch March 1 and run for 15 days only. Everyone who wants to participate this time around MUST SIGN UP AGAIN – even if you were already signed up for the inaugural Author Blog Challenge back in June 2012. Register here. We’ll again do a daily drawing for prizes – if you want to donate a DIGITAL gift, please indicate the gift and how you will get it to me on the REGISTRATION PAGE. We’re going to try to make linking to your posts easier this time, with a Widget from Mr. Linky. I will post each day’s prompt here on the Author Blog Challenge site, with a link to that day’s Linky. In the field that says YOUR NAME, you write your name and the name of your post (not the name of your blog). EXAMPLE: Marcie Brock – 7 Things Authors Can Learn from Watching the Oscars. In the field that says YOUR URL, include the link to your post for the day. Your post will not count for drawings and toward overall winner if you do not add your link to the Linky page. However, we still encourage you to share your posts on the wall for the Author Blog Challenge Facebook group. Yes – we’ve been busy so there’s not a lot of lead time for the start of this Challenge. To that end, we ask you to share this info with all your author friends and in your writing groups on Facebook and LinkedIn. We’ve even got some pre-fab Tweets you can use. (Never worry – we’ll get the badges updated in the next day or two). Just like last time, we’ll have daily writing prompts. This is a short challenge, so all of these prompts will be on the topic of social media. It’s not the ONLY tool in an author’s marketing toolbox, but it’s an important one! And to that end, every person who signs up for the Winter Author Blog Challenge will receive a copy of the brand new 38-page special report, “Social Media for Authors,” from Write | Market | Design. 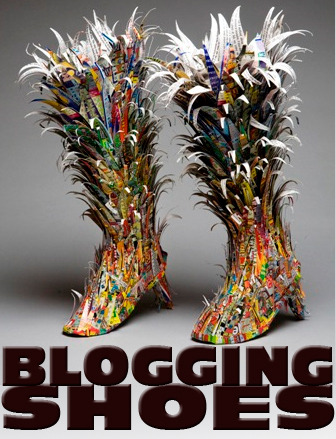 Get your blogging shoes on!